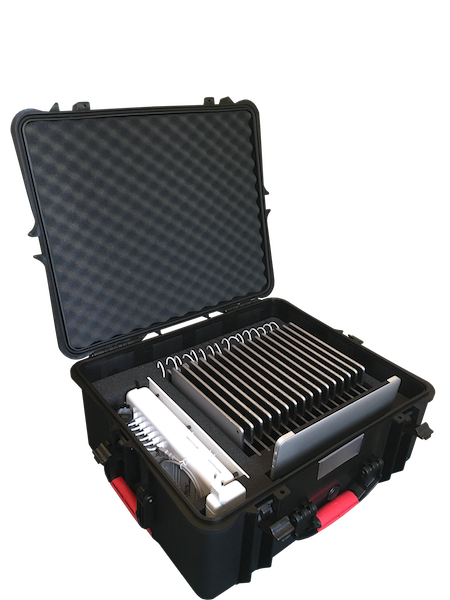 This Magellan mobile case makes it easy to deploy up to 16 tablets and 1 computer. Equipped with a KSync module and cables already integrated, this all-terrain solution, recharges and synchronizes all the tablets simultaneously. A reliable solution for efficiently and quickly managing a fleet of tablets !